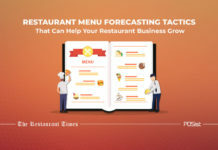 In the sprawling restaurant industry that is present in Singapore, it is essential that you come up with new and attractive restaurant promotion ideas that will keep you ahead of your competitors in the market. The total number of restaurant establishments in Singapore amounts to 7,679, and this number is poised to grow even more in the years to come. 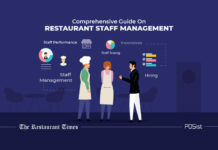 Considering the stiff competition in the Singapore restaurant industry, it is imperative for you to walk that extra mile, to do that bit to keep your customers hitched to your restaurants for a long time. 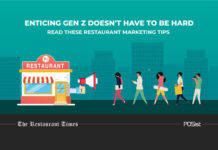 Restaurant marketing has become an integral part of running a restaurant. While the traditional methods of marketing, such as running social media campaigns, distributing flyers and pamphlets, etc. work well to attract customers, you still need to come up with unique restaurant promotion ideas to give your business an edge over your competitors. There are quite a few appealing and attractive restaurant promotion ideas that you can implement right away. Try and introduce exciting promotion ideas during the holiday season, host themed nights, take part in community and charity events, include celebrities in the events to attract customers. Be it is Christmas, New Year, Lantern Festival, Chinese New Year and other festivals in Singapore, people here come out with great vigor to be a part of all the festivities, and hence this makes it one of the most lucrative time for you to get that extra crowd in your restaurant. Leveraging on the holiday season and capturing the holiday rush is one of the best restaurant promotion ideas since people now will be more than willing to splurge in that extra luxury. For example, if it’s the time of Christmas, you can very well introduce some new offers and menu items specific to the twelve days of Christmas. Here is how you can make the best of the festival season for your restaurant. Singapore is the home to many film and music festivals, and you can very well utilize them to gather exposure and increase your customer base. It is a good idea to set up a kiosk at these events or even provide catering services. Once people try your food at these events, give them an incentive to visit your restaurant. For instance, you can offer a special discount code for people who dine at your restaurant post the event. This will not only help you in attracting customers it may also play a significant role in retaining them. Providing appealing offers can never cease to be one of the best promotional ideas. It will never fail you to attract that extra crowd who will give you this opportunity to retain them in the best ways possible. Now, there are two ways you can run discount offers. One, you can run discount offers on a particular item for the masses and then promote it well to attract new and existing customers. Happy hour strategies also prove extremely good for attracting college goers who are looking for cheap liquor. Hence, bring in the offer from 4 pm to 8 pm every day, give out one plus one on beer, or provide a complimentary dish, especially the dishes that customers generally order as side dishes, and such other offers. Alternatively, you can offer custom discounts to your existing customers based on their spending habits and behavior to retain them. 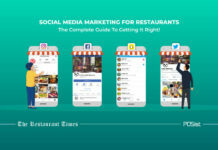 You can do this with ease through a smart restaurant marketing module that enables highly targeted marketing campaigns. Having a stellar online presence is very important in today’s time. Hence, running online contests are a great way to attract those hovering on the social media platforms. Thus, you can introduce a “hashtag” for your restaurant and run campaigns on them. Or you can capture the craze of some new game that is the craze of the hour and ask your customers to post a picture on the social media with their scores and the one with the highest score gets some voucher or discounts on their next visit. One of the best ways to make your restaurant more credible is by taking part in charity events since it will leave a good impression on the society and hence this is considered to be one of the best promotional ideas. For example, on Children’s Day or the festivals, you can distribute food items in an orphanage or the old age homes. If you have budget constraints, including celebrities in your restaurant events might seem to be an expensive affair, however, including them will take your restaurant promotions to a new height. Hence, while hosting events like comedy nights, karaoke nights, bring in some celebrities in the house and see how you find it difficult to manage your restaurant queue that night. One of the best promotion ideas to build a band of loyal customers is to have a stellar loyalty program or rewards membership in place. 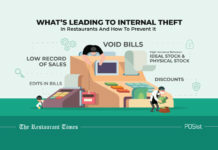 Giving something back to the customers in the form of loyalty points or complimentary items incentivizes them to come back to your restaurant again. Similarly, you can offer special deals and discounts through a rewards membership program. One of the best ways to attract the crowd is to host themed nights and parties at your restaurant. Hosting Ladies’ Night, theme parties for special occasions are a great way to attract customers. During these nights make sure that everything at your restaurant is in sync with the theme of the event at hand. For instance, for a Halloween themed party, ensure that the decor and even the menu items are in sync with the theme. Implement a dress code to make the event an even better success. Offering a discount for the best-dressed person is a great way to keep your customers thrilled and excited, and also generates a lot of scopes for you to create a lot of buzz on social media, both pre and post the event. Include these restaurant promotion ideas in your restaurant marketing plan, and see how the footfall at your restaurant increases manifold! 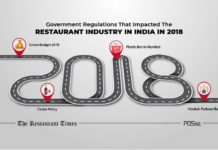 Please explain me the latest restaurant trends, please.